KidsFirst Pediatrics understands a sick child is a time of worry and stress for our families. 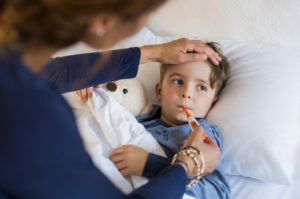 We offer same day sick appointments, and have staff available to answer any questions or concerns that you may have about your child's illness. Same day sick appointments are available for scheduling as soon as our office opens at 8:30 am. To reach the front desk schedulers please call, 303-239-8327. If a medical emergency occurs outside of normal office hours, you may call our office to be directed to speak with Children's Hospital After-Hours Nurses or our on-call provider. If a life threatening emergency is taking place, please call 911.